Never did a phony speech ring so true. By now we all know (don’t we?) that these words–and that whole web of life riff–come from a fake speech attributed to Suquamish chief Seattle. Its falsified provenance has been exposed many times over, but its staying power persists on posters, T-shirts, bumper stickers, garden plaques (I have one, a gift), in a children’s book–and in hearts. We want to believe that a seer, wise and eloquent (which Seattle was for a fact), speaks to us so poignantly about the strong bond between all species: our irrevocable connection, our shared fate. That a mid-19th-century visionary addressed us directly in the early 1970s–just when our environmental movement was taking off (imagine that! )–and continues speaking ever more urgently in these rapidly-warming, species-depleting 21st-century days. This is perfect, I say to myself in more cynical moments–and those are many. The species plundering the Earth is the same one (although in lesser number) affixing made-for-TV words of warning to the bumpers of our fossil-fuel burning vehicles even as the plundering accelerates. We feel helpless, realizing it will be a cold day in hell before humans–at least those in charge–believe we are merely strands in the web of life and not its master. Our dominion has translated into mountaintop removal, coal ash poisoning, tar sands apocalypse, deforestation, depleted oceans, factory farming of sentient fellow animals and all its attendant horrors, and global warming scenarios any one of which could be our undoing. Water scarcity, mutating pathogens, food supply failures, extinctions whose ramifications we don’t yet understand–the list is long and frightening and best not dwelt upon, for whatever we do to the web, we do to ourselves. Whatever happens to the beasts soon happens to man. “The depot lands” referred to above are the Umatilla Chemical Depot, an army installation that had stored tons of chemical warfare agents since 1962–and before that, supplies and munitions for World War II. Just a reminder that the species able to destroy all others is also willing to destroy its own. The Earth does not belong to us. 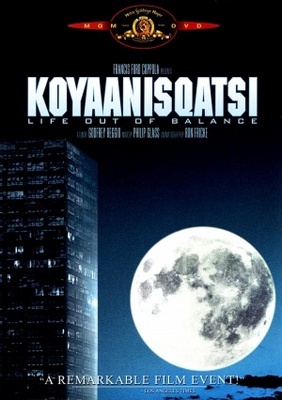 No prophet from Chief Seattle’s time could have foreseen the powerful influences that have created this life out of balance–koyaanisqatsi (a Hopi word and a 1982 film by the same name)—and the suffering of our fellow beings, though the wanton slaughter of tens of thousands of American bison was surely a harbinger. Ancient migration routes are blocked by fences, cities, roads, and dams. Habitat is appropriated for livestock grazing, fuel production, and subdivisions–its native dwellers subsequently killed as nuisances. Invasive species–often intentionally introduced for trivial human benefit–further displace them. Nuclear accidents create radioactive dead zones. Corporations genetically engineer and patent life. And when Mammon conflicts with Mother Earth, corporate lobbyists ensure that lawmakers choose money over mom. We see ourselves apart from nature–not a part of nature–our species’ strand of the web forged largely from links of entitlement, hubris, and greed. What is man without the beasts? Red wolves and mountain gorillas. Alpine butterflies. Rhinos, elephants, sharks, and tigers. These and more–our Animal Kingdom cohorts in life on Earth–are in grave peril. Scientists are calling it The Sixth Mass Extinction and estimate that 30,000 species go extinct each year. Unlike other mass extinctions, humans are the primary cause this go-round. Seabirds and frogs. Polar bears and pikas. These issues are so huge that for sanity’s sake we tend to look on as disinterested observers. Still, they are also hugely personal. If you’ve wandered the high elevation Rocky Mountains as I have, you’ve smiled in appreciative recognition at the shrill warning bark of the pika. Sit down in a boulder field adjacent to a meadow and you’ll soon see the small lagomorphs–rabbit relatives–busily collecting forbs and grasses (video) to build “haystacks” for winter survival. Pikas’ body temperature, at 104 degrees, is near the lethal limit for mammals and they can easily overheat. A warming world is a real threat to these little beings, who serve as a prey species for many predators in the intricate web of life. And then there’s this reality: At this very moment, billions of sentient animals are suffering both mentally and physically in factory farms, fur farms, zoos, research labs, Asian bear bile farms, in cattle carriers, on fishing trawlers, in traps and snares, in circuses, rodeos, puppy mills, and slaughterhouses; killed for food, fashion, fun, convenience; poached for horns and tusks; starved, beaten, and worked to death simply for not being human…lives squandered in the myriad ways that we’ve claimed dominion for ourselves without compassion or justice for them. The fictitious but hauntingly real words of a manufactured prophet in a speech never delivered seem more likely to be proven true today than they did 40 years ago. We will devour the Earth and leave behind only a desert. I agree and hope that we can all stay in this together – animals and humans. Wow, who woulda thought to check out snopes to see if a chief’s speech is for real or not? Not I! Thanks as usual for all the links, Kathleen; I opened all but the bile one, which I can’t bear to see (no pun intended). 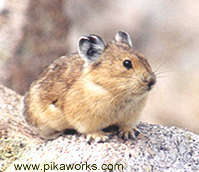 The pika is adorable. But I hope a couple of the commenters under David Attenborough’s YouTube featured these cute creatures were jesting when they wrote that they wanted to have one. That acquisitive streak — that compulsion to “own” an animal, even if it means removing his precious liberty — has gotta go. The only reason to take an animal from where he belongs is if he is orphaned or injured or ill and cannot survive on his own. Otherwise, hands off. Enjoy watching. Take photos and videos. But do not touch. Do not adulterate. But do not steal. Do not kill. Do not covet. In other words, let’s apply the 10 Commandments to our animal neighbors (except the part where women, servants, oxen and asses were seen as property!). Or how about simply following one simple rule vis a vis all sentient beings — the Golden Rule. Guess I got off topic. But maybe it’s all connected. For if we keep taking taking taking, we’re left with nothing but that desert you speak of. A scorched earth. The pika is adorable. But I hope a couple of the commenters under David Attenborough’s YouTube featuring these cute creatures were jesting when they wrote that they wanted to have one. That acquisitive streak — that compulsion to “own” an animal, even if it means removing his precious liberty — has gotta go. The only reason to take an animal from where he belongs is if he is orphaned or injured or ill and cannot survive on his own. Otherwise, hands off. Enjoy watching. Take photos and videos. But do not touch. Do not adulterate. Do not steal. Do not kill. Do not covet. In other words, let’s apply the 10 Commandments to our animal neighbors (except the part where women, servants, oxen and asses were seen as property!). Or how about following one simple rule vis a vis all sentient beings — the Golden Rule. Guess I got off topic. But maybe it’s all connected. For if we keep taking taking taking, we’re left with nothing but that desert of which you speak. A scorched earth. Aboriginal cultures did retain a sense of connectivity that has been largely lost in post-modern civilization. However, it’s also worth noting, they were highly interactive with the environment, and consumptive users — not passive observers. They hunted, fished, farmed, and sometimes founded permanent settlements or otherwise altered the landscape when it suited them. Their effect on the landscape was also mitigated by relatively small populations, and a relative lack of technology. We will devour the Earth as is our destiny. That is what human’s do. That’s what we’ve evolved to do both as individuals, individual societies, and a global society. We have made the Earth belong to us. We’ve learned, most likely over long periods of time, to manipulate our environment far more fiercely than any other species. Sure, it comes at a price; the eventual (or more likely just hastening) of the Earth’s demise in a cancer-like fashion. What are we saving this for? What’s the plan? While native peoples may have (fakely?) espoused a very in-tuned-with-nature religion, their lack of progress and limited populations accounted for their small carbon footprints. Rather than praise the Earth as a gift from some deity, why not allow ourselves to be comfortable with the fact that there is no plan? and evict us. Keep it clean and enjoy the rest stop. Our insatiable appetites and the dwindling reserves to keep them met do paint a bleak future. But the wise ones knew this decades and centuries ago – Happiness forever sought, yet can never be bought. We will perish by insisting on the latter.